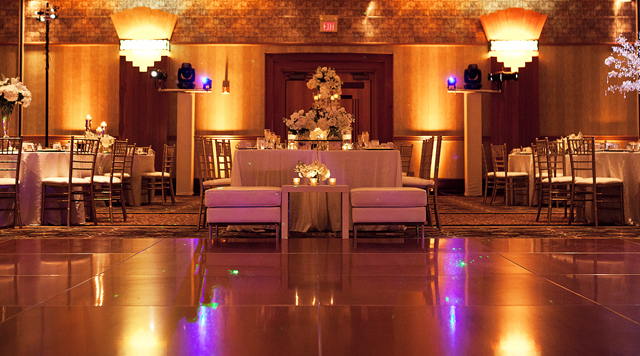 Par-A-Dice Hotel's expansive ballroom is the perfect place for an elegant function. It can be divided into five separate rooms or used as a whole with a capacity of 1050 guests. Available services and options include on-site catering, state-of-the-art audiovisual equipment, and wireless Internet.